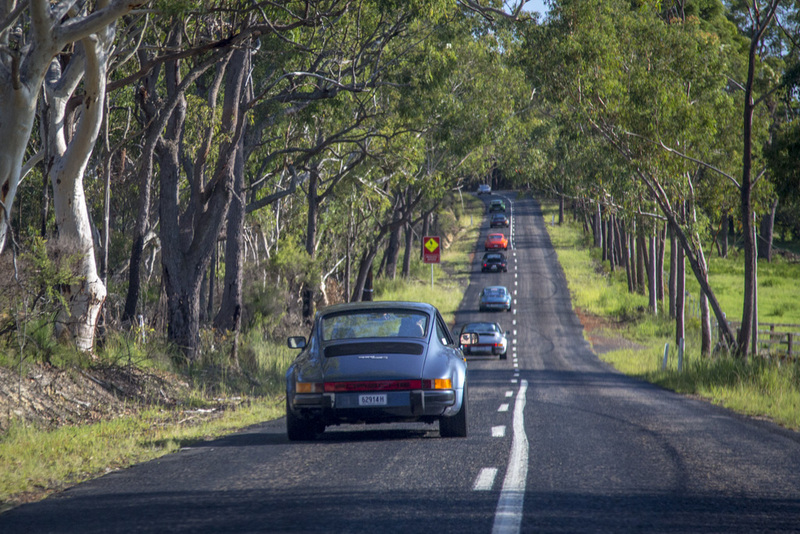 Let’s try something different to avoid the weekend crowds on one of our favourite driving roads – the Old Pacific Hwy. Take an RDO, a Flex day or even a sickie if you have to and give your classic Porsche a run with its friends and let’s do brunch at the Waterfall Café, Somersby. Let’s meet at Berowra Truck Stop, Cowan (Google Map reference “Herfo’s Woodshed”)at 10 am for a 10.30 am getaway to avoid the morning peak hour traffic. - Then enjoy about a one hour’s drive along the Old Pacific all the way through to Somersby and the Waterfall Café near the Mt Penang Correctional facility. - Park and admire our Porsches near the Café and enjoy a simple brunch/lunch of your choice for as long as we feel like sitting around and talking about the latest things we have done with our Porsches. - After an hour so we can continue onto towards Gosford. For those interested you can visit the Gosford Car Museum or return home via Woy Woy Road before the afternoon peak traffic starts. Participants need to register so numbers can be confirmed with the cafe.